Resiliency: It’s not just a word. It’s my new normal. 4 Comments on Resiliency: It’s not just a word. It’s my new normal. The last two and a half years have been my most difficult. I have been blind-sided, shocked, confused, and unsure of the future. And I have made many mistakes in my journey to cope, adapt, and thrive in the midst of uncertainty. However, I have fully realized what it means to be Resilient. I wake up every day and still do my job as a wife, parent, sister, daughter, friend, manager, and employee. I admit, I’m not perfect, and it’s a struggle at times. But, my kids give me strength. My husband picks up the slack and makes me laugh every day. My therapist is a lifesaver. And my co-workers are there to pick up what I can’t lift. I’ve learned so much. I’ve come out stronger. But what makes me and my family resilient? Eleven years ago, my Mom was diagnosed with Chronic Obstructive Pulmonary Disease (COPD) and emphysema. A former smoker who had quit five years prior, she was only 56 and seemed in excellent health. 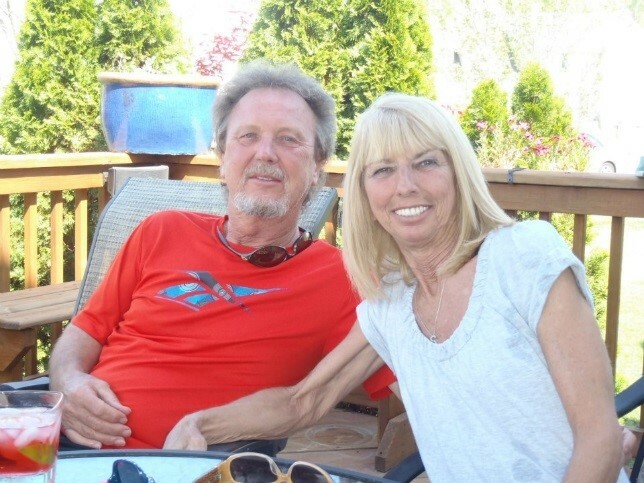 At the time, I thought it was no big deal…COPD is a common illness affecting many people. I wake up every day and still do my job as a wife, parent, sister, daughter, friend, manager, and employee. I admit, I’m not perfect, and it’s a struggle at times. But, my kids give me strength. My husband picks up the slack and makes me laugh every day. My therapist is a lifesaver. And my co-workers are there to pick up what I can’t lift. I’ve learned so much. I’ve come out stronger. Four years ago, her condition deteriorated, and she was evaluated for a double-lung transplant. While initially deemed “not sick enough” for a transplant, she certainly was not prepared mentally (nor were we) to accept that she would eventually need it. But we came together as a family and put our skills to work; we researched; analyzed the pros and cons; and became medical “experts.” We reached out for help too, attending support group meetings and talking to other transplant recipients. In March 2014, my Mom received her life-saving lung transplant. After an intense two-week stay in ICU and another challenging two weeks in the step-down unit, she was discharged a day before her 65th birthday, determined to regain her life. 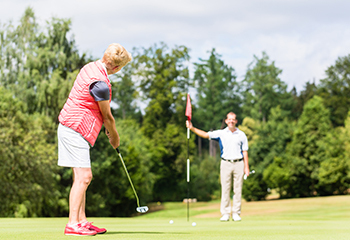 Within a few weeks, she was back to her old self, itching to get back on the golf course. Four months later, our resiliency was tested again. Mom contracted a rare bacterial infection, from which treatment and recovery (if even possible) can be lengthy and challenging. Coupled with her being immunosuppressed so as not to reject her new lungs, she was now facing an even tougher challenge. At one point, her doctors said she may not make it. Again, we researched, asked tough questions, and explored all options. We got through it together – as a family. After another month in the hospital, Mom was discharged and started slowly improving. We felt like we had dodged a bullet. We now expect the unexpected. We laugh our way through stressful situations. And we allow ourselves to cry or freak out if and when we need to, but we pick ourselves back up and keep on going. But that turned out not to be the case. Last August, Mom broke her tibia. The infection had spread to the bone and surrounding leg tissue, leading to multiple surgeries and the possibility of amputation. After many discussions with her, our family, and her care team, we decided to treat her symptoms and try to manage her pain. We’ve been told the infection will eventually spread and will most likely be fatal. However, we remain optimistic, taking it one day at a time. If you were to meet my mom right now, you would never know what she has been through. Other than the visible signs (her PICC line, stomach tube, and bandages), her hair is always done, her makeup applied, her smile contagious! This is her resiliency shining through. 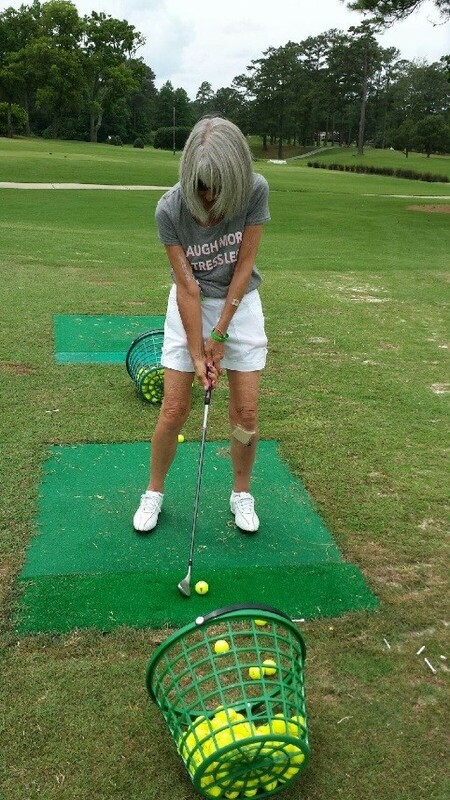 Focused on enjoying her life to the fullest, she was out swinging a golf club several weeks ago. As for my dad, his job now is her full-time caregiver. He administers her meds, makes sure she eats, and does her daily dressing changes. This is his new normal. However, he wouldn’t have it any other way. In the last two and half years, my parents have taught me more about life and love and patience and compassion and overcoming adversity than I ever thought possible. But above all, they both have taught me the true meaning of resiliency. For my family, it is our core value. We now expect the unexpected. We laugh our way through stressful situations. And we allow ourselves to cry or freak out if and when we need to, but we pick ourselves back up and keep on going. This is our life now. This is our new normal. Nicki, just read. A moving story of life’s challenges. It sounds like you have a great family! Thank you for sharing such a personal and powerful experience. It speaks not only to our values as a company but also to some very fundamental human value we should never forget. Thanks for this intimate post.